If you were lucky enough to have one of the original He-Man® toys back in the '80s, then you remember that cool spinning wheel in his chest that showed various states of damage. 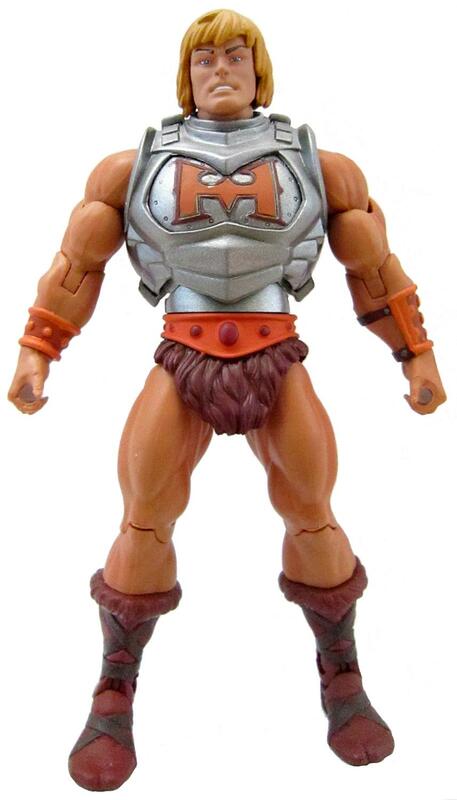 Our all-new Battle Armor® He-Man® pays homage to that beloved feature with three interchangeable armor plates, each with varying degrees of dents! Always ready for a good fight, he comes complete with his trademark battle axe.ARMOR BREASTPLATE SHOWS DENTS! To adapt to new enemies and situations, Adam has learned to tap further into the great power which his sword unlocks. The combined Power of the Universe and the Knowledge of the Elders is used by Adam to imagine and create new forms of armor and weapons to combat evil. 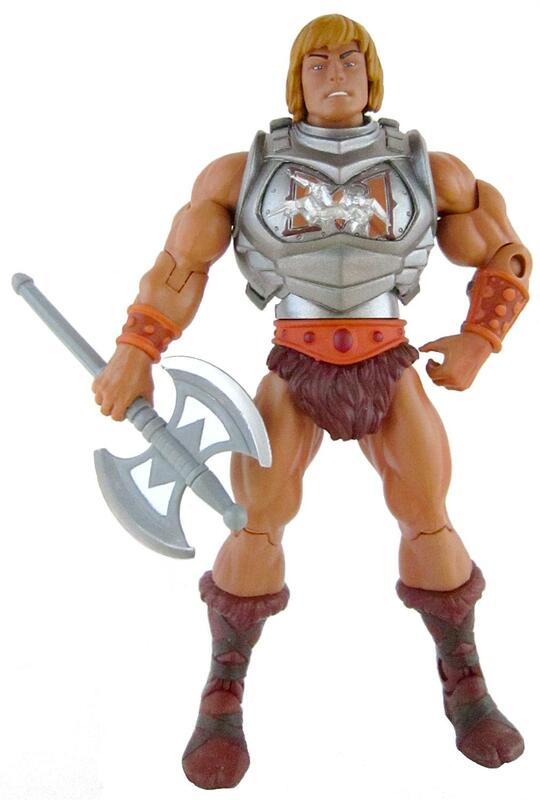 His BATTLE ARMOR® was created to protect He-Man® during his early battles with Skeletor® and his evil warriors. 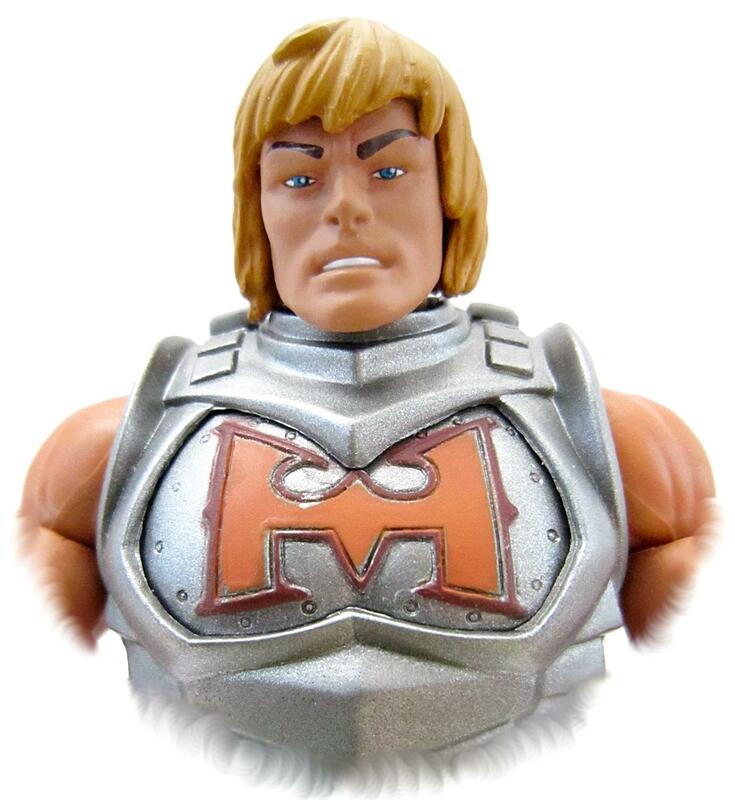 Using the Power of Grayskull™, He-Man® — The Most Powerful Man In The Universe™, is now shielded by his mighty BATTLE ARMOR®!